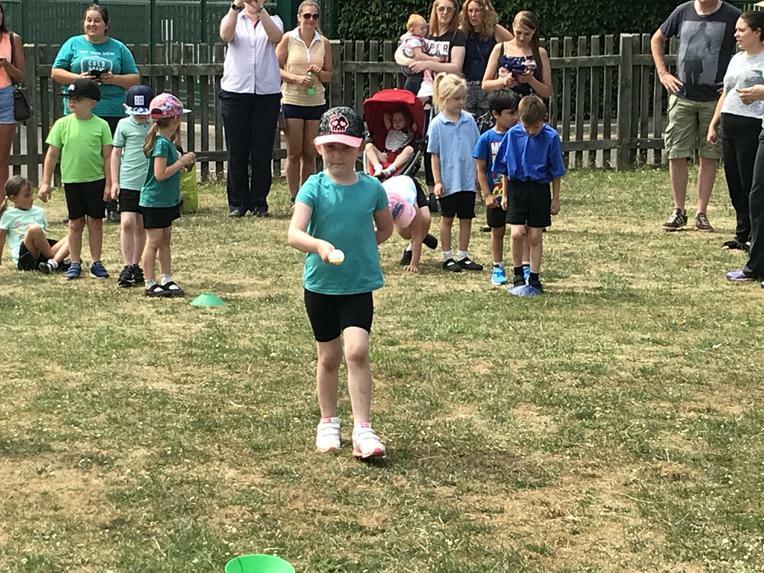 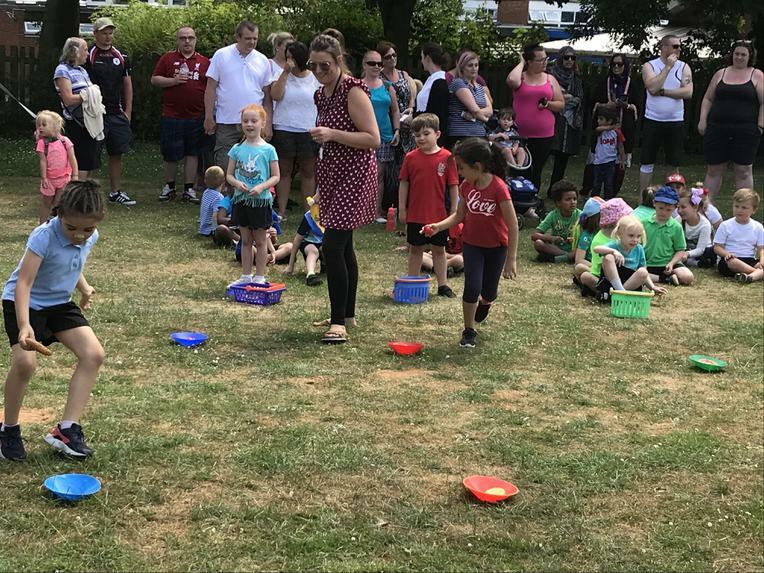 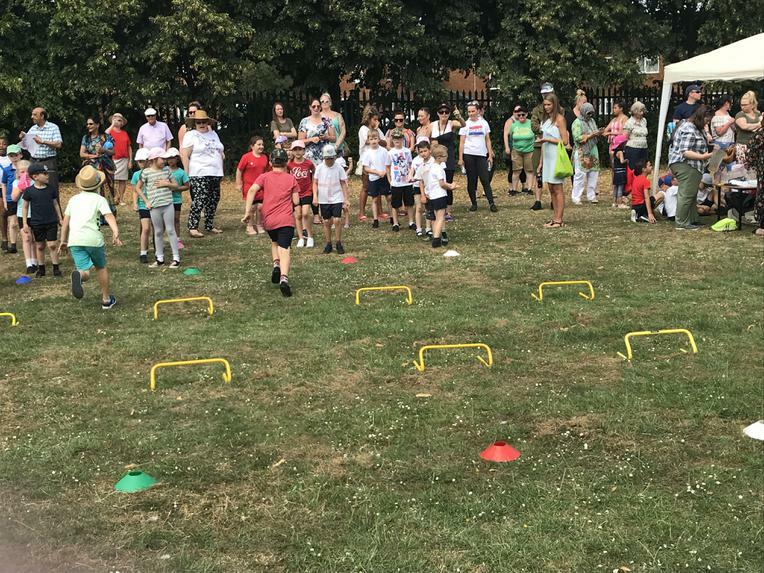 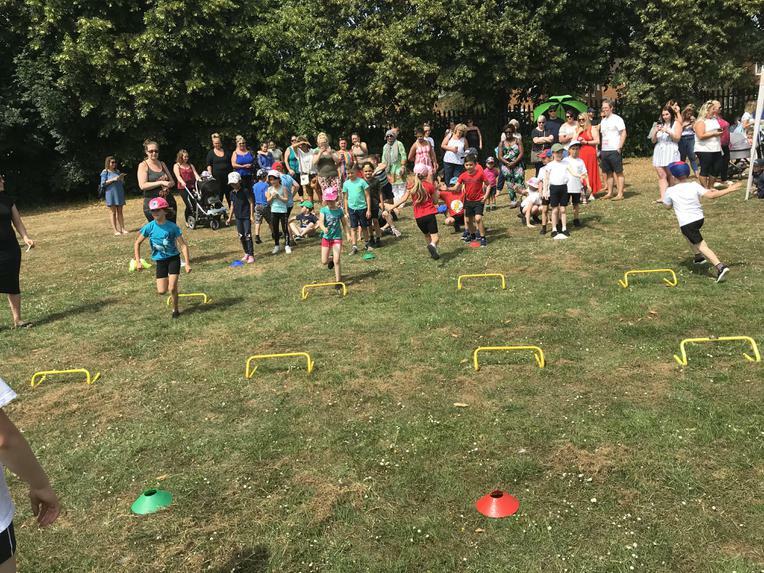 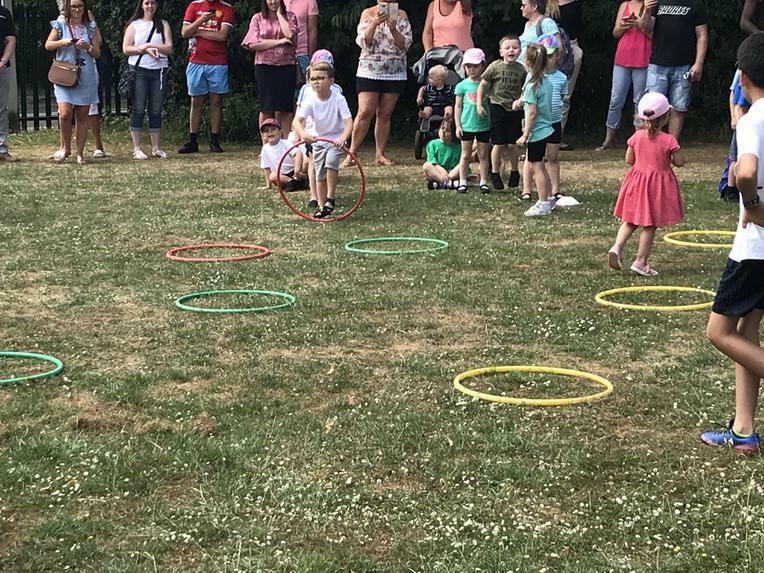 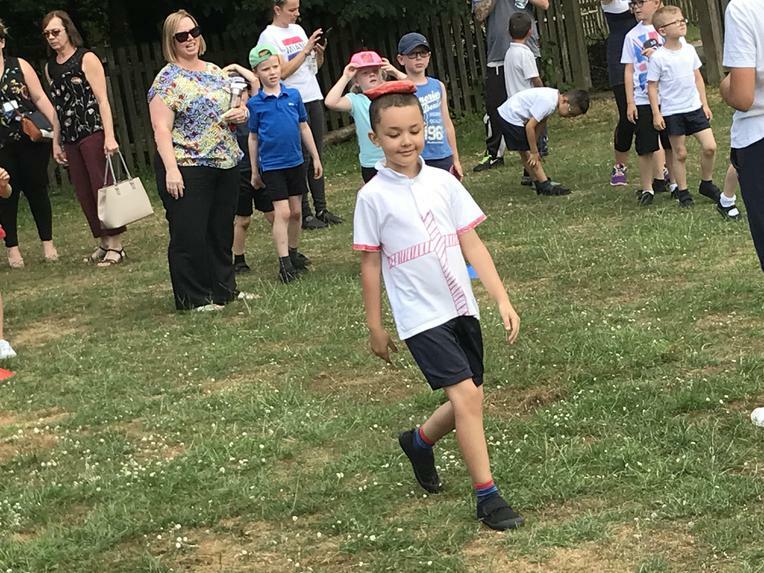 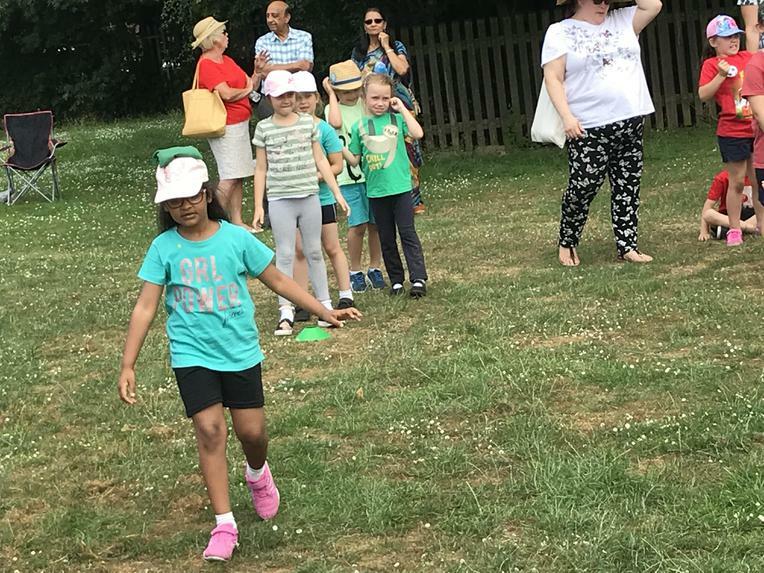 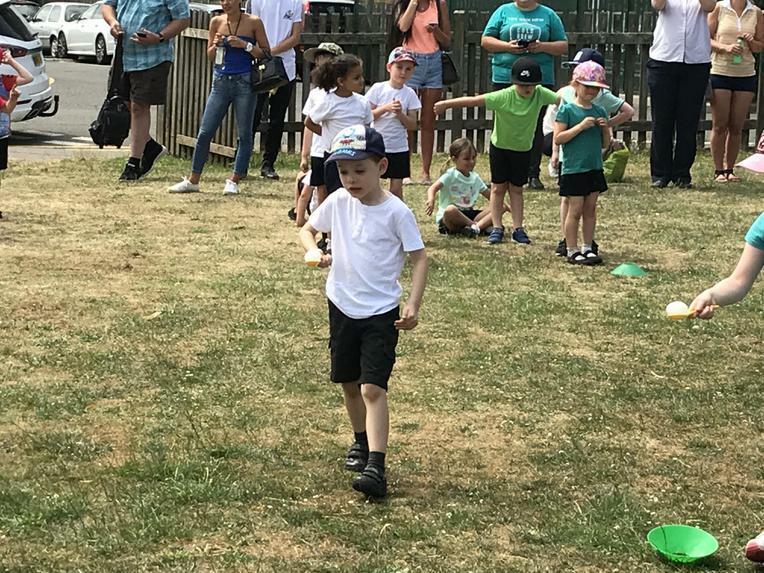 The school field was packed with spectators following the children around the various activities they were competing in. 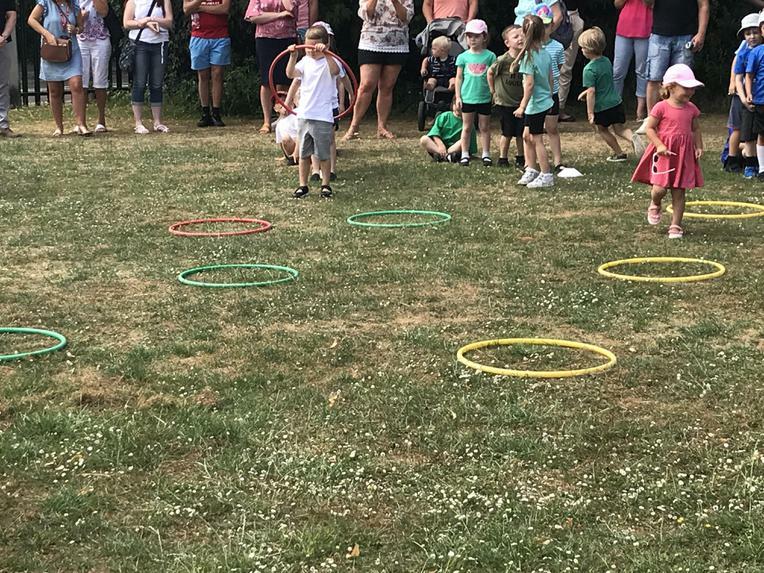 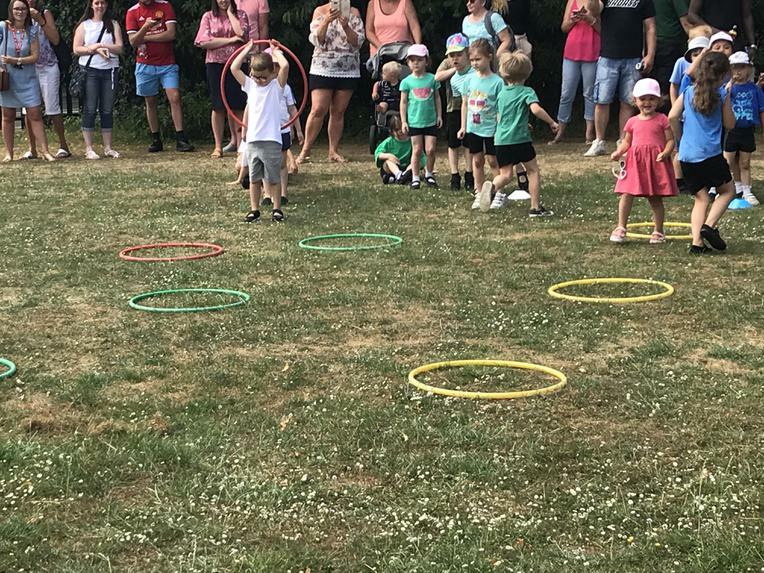 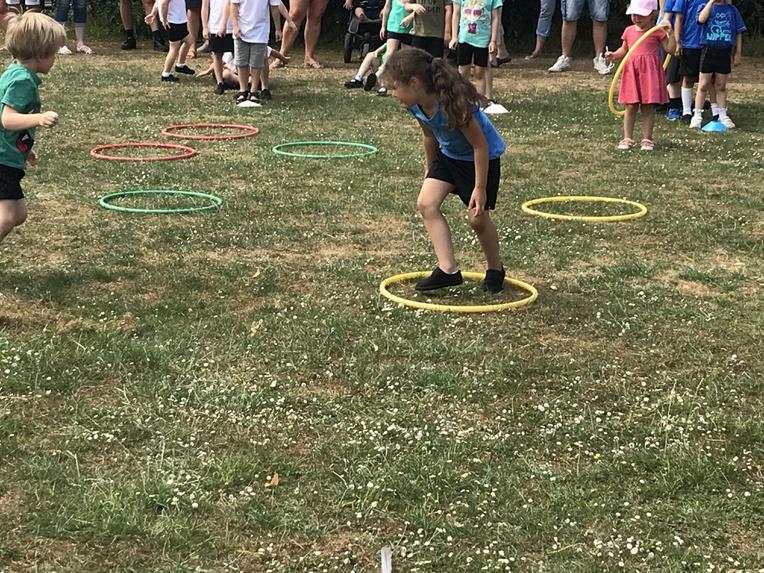 These ranged from egg & spoon and sack races to hurdle relay and up ‘n over hoops. 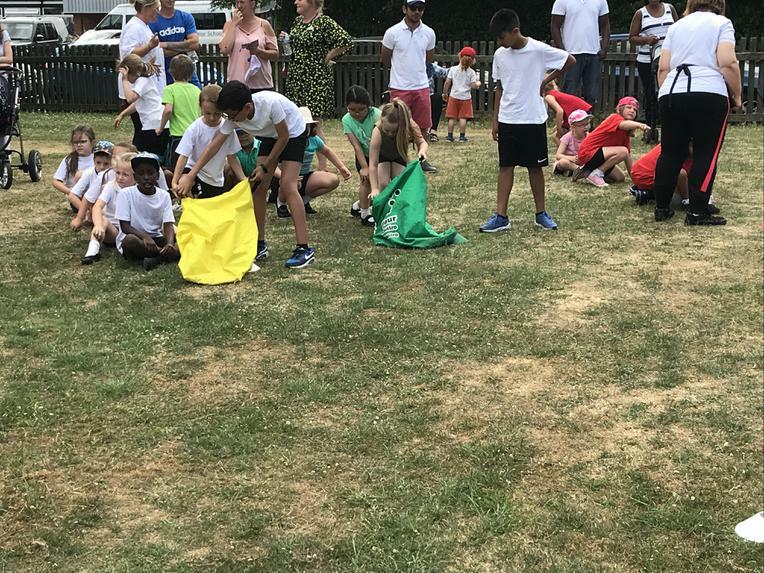 Members of the Blue team won a total of 22 points followed by White with 20, Red with 12 and then Green with 10. 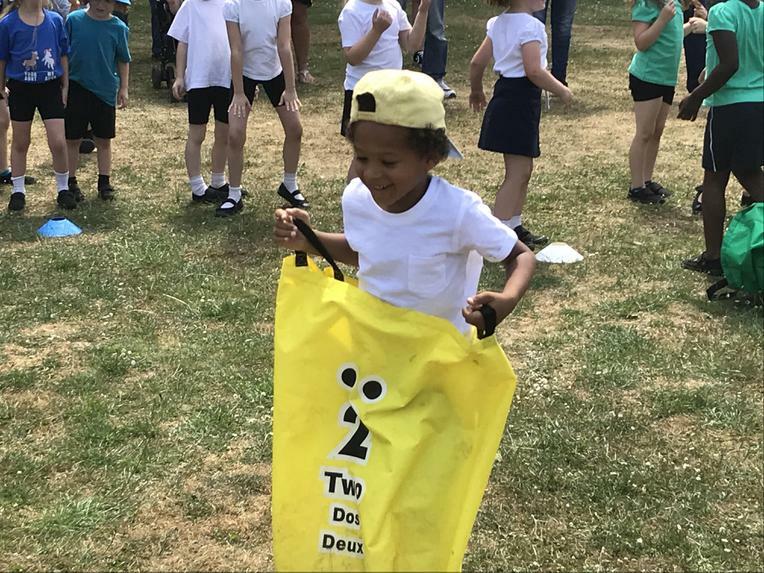 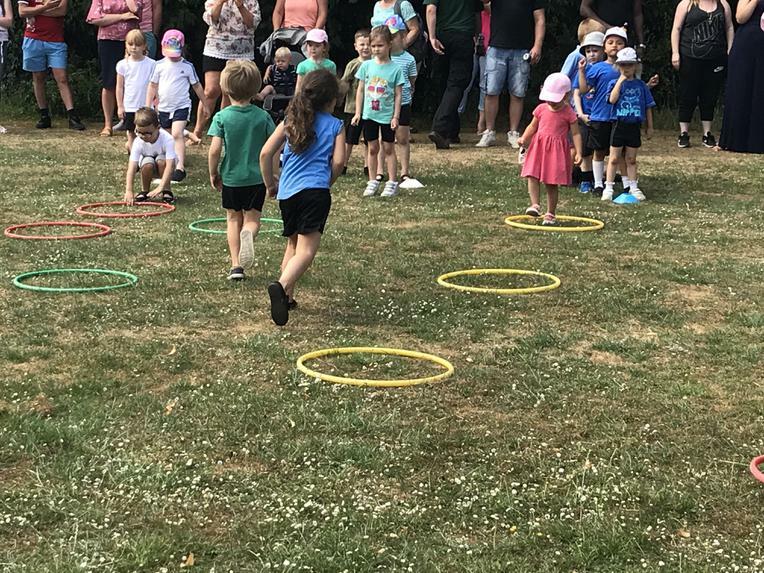 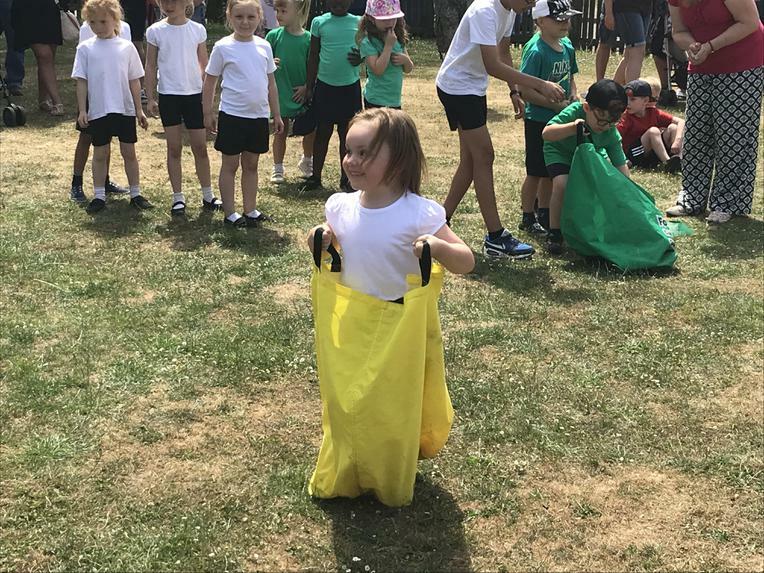 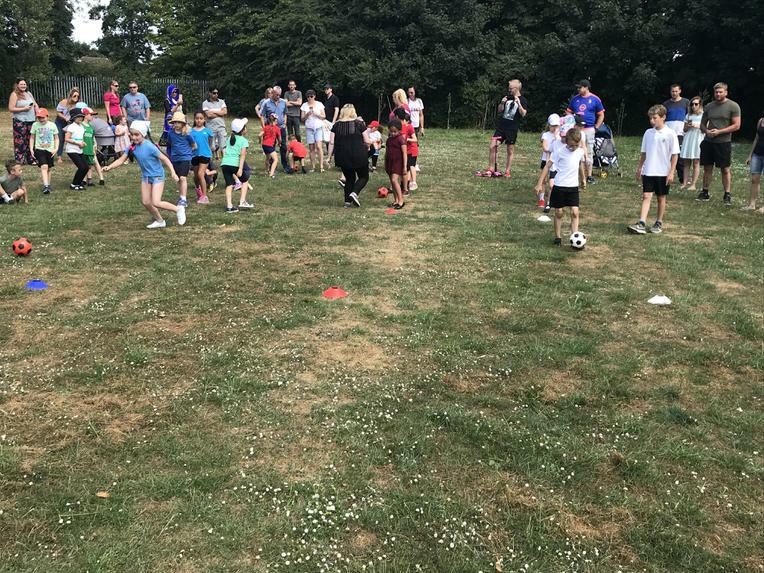 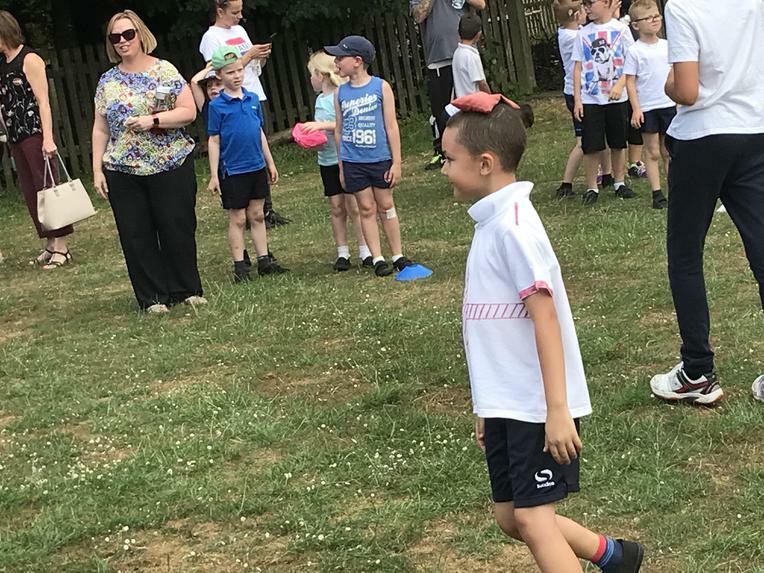 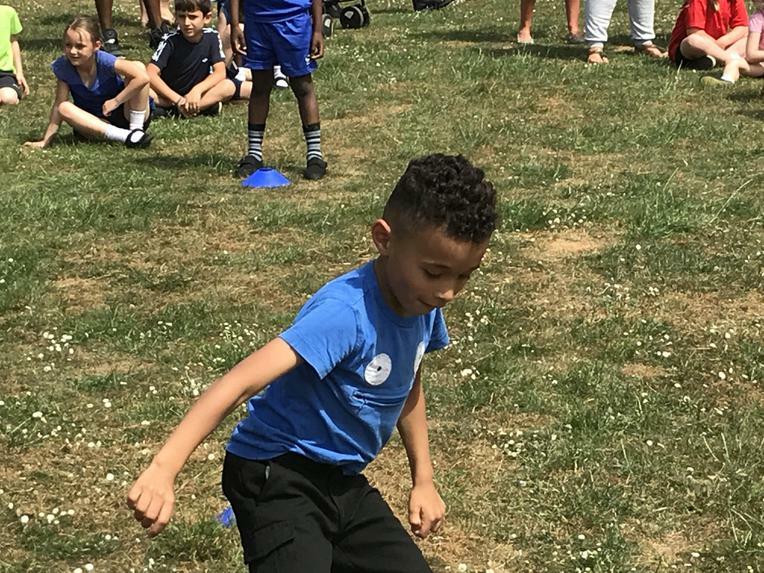 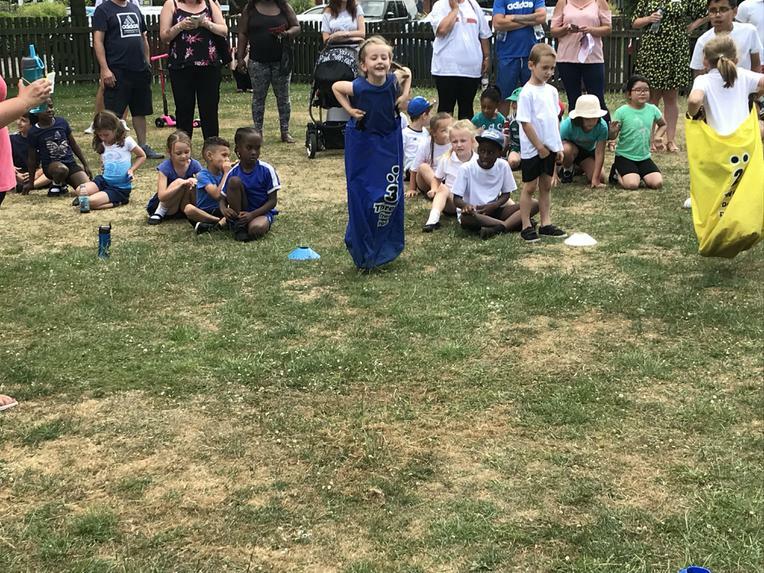 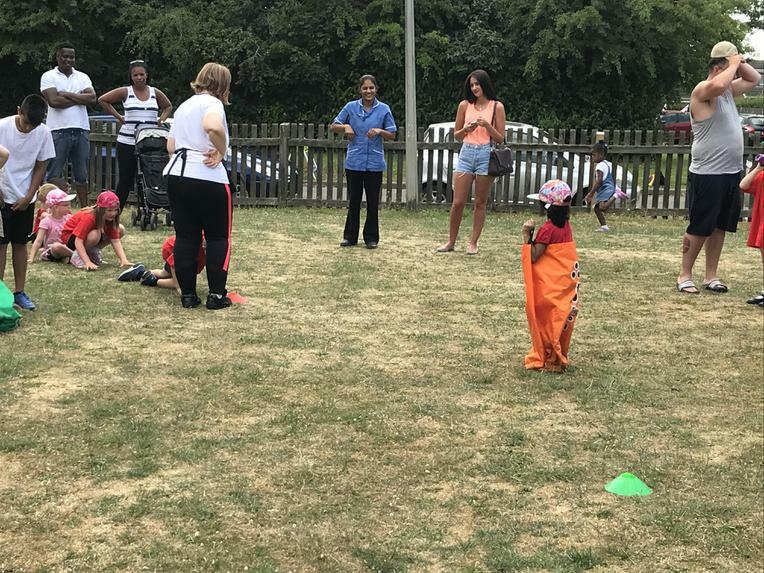 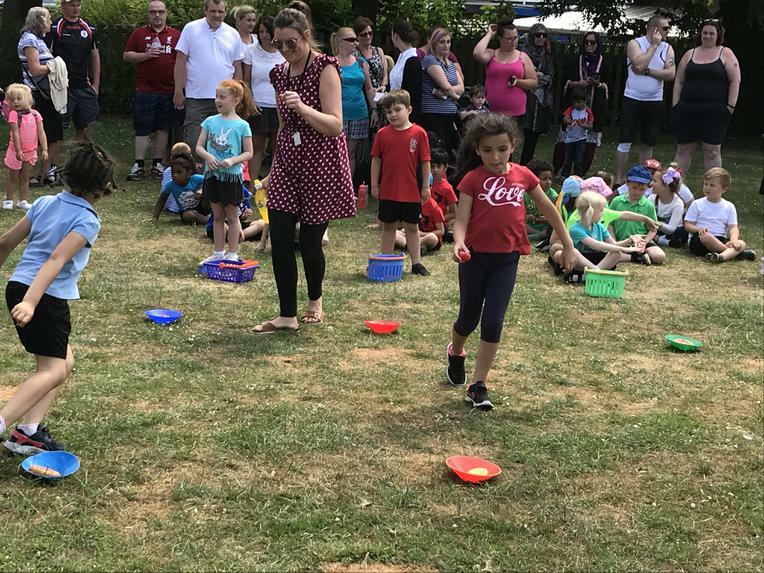 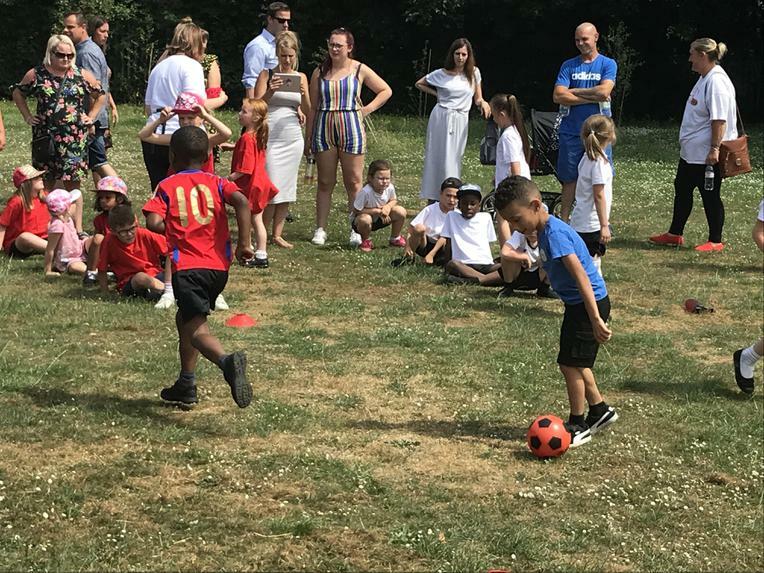 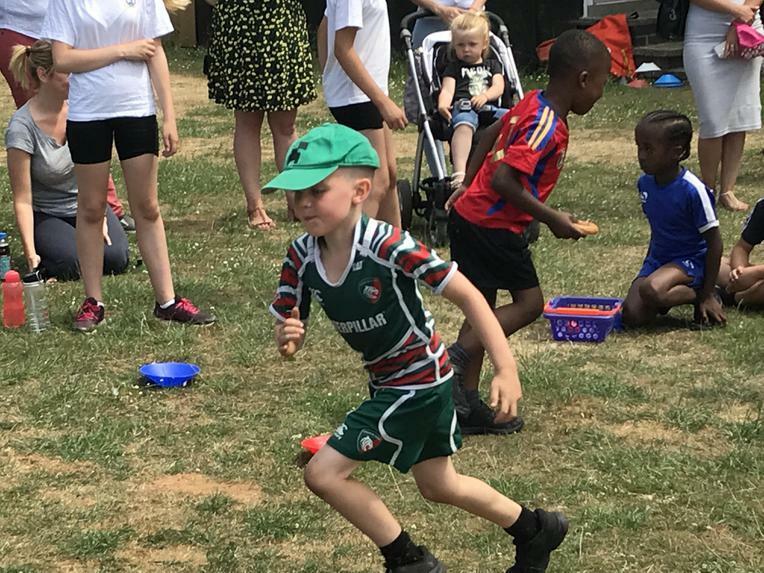 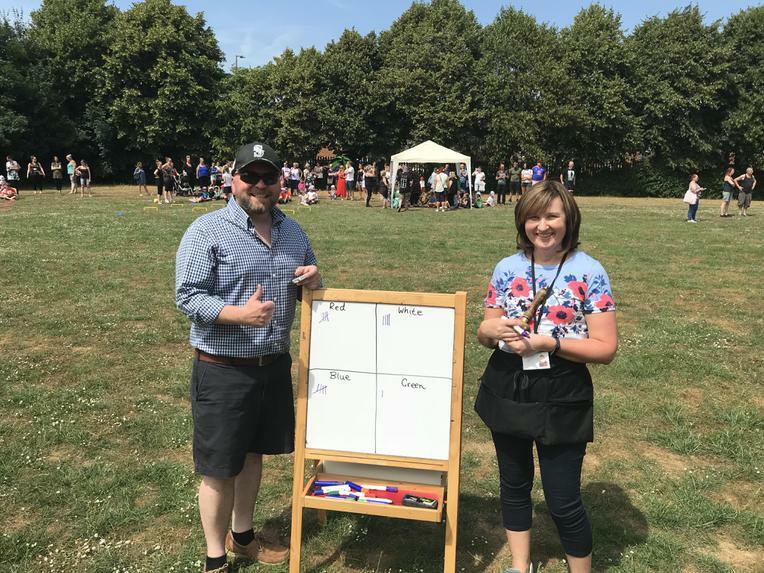 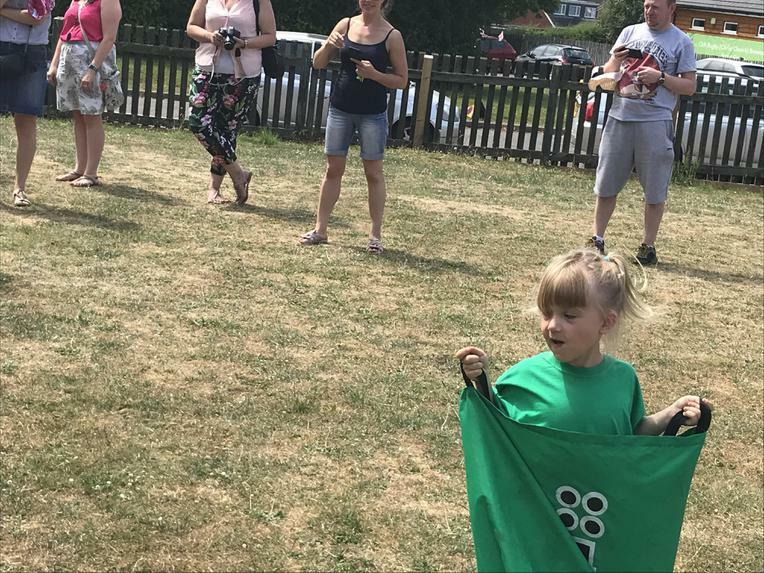 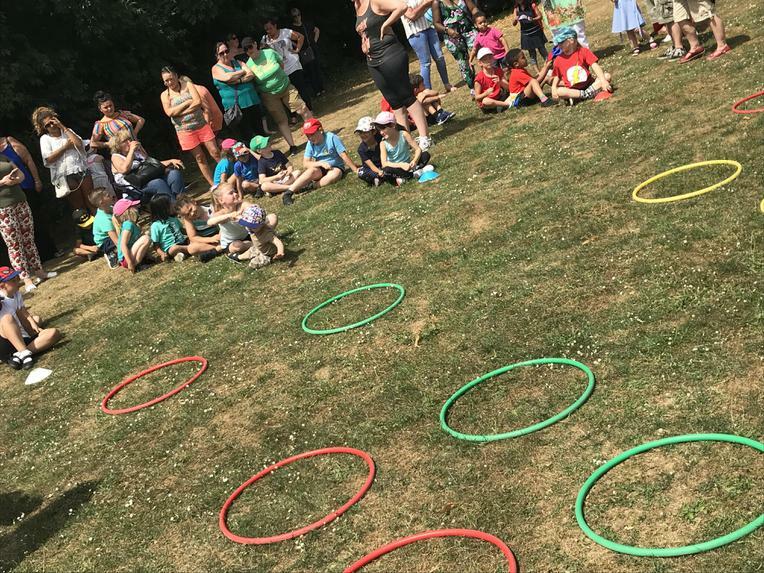 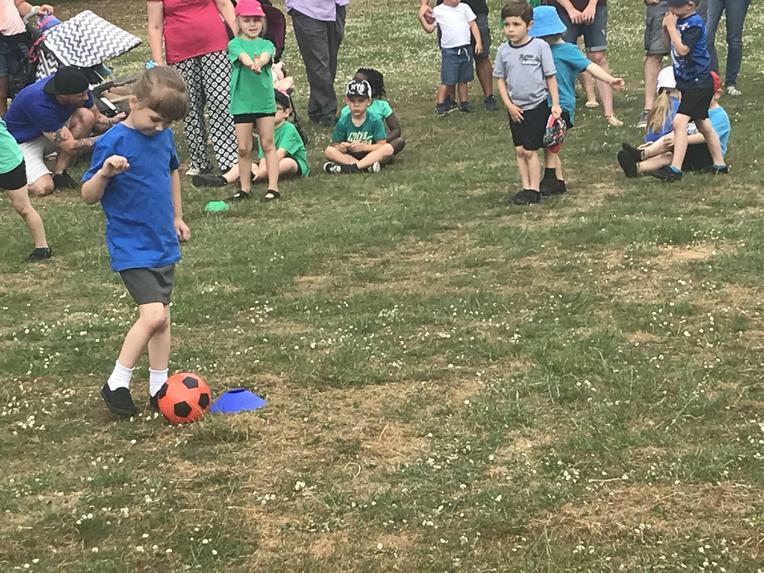 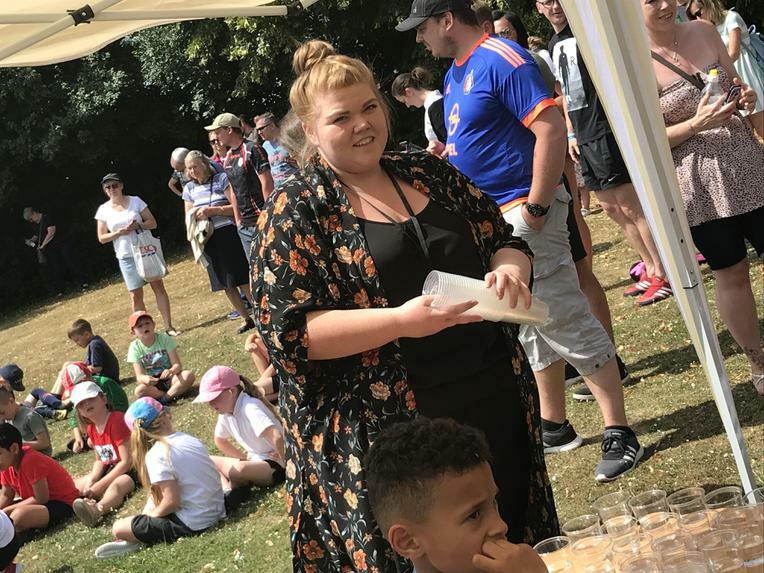 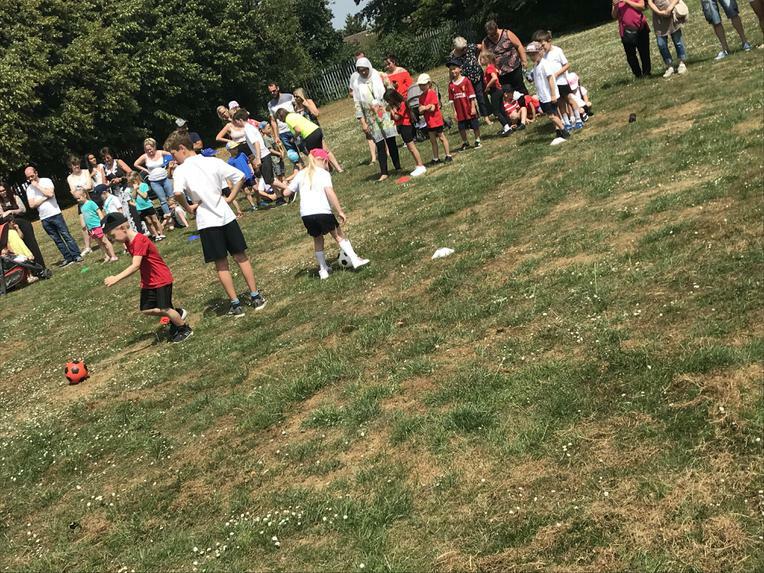 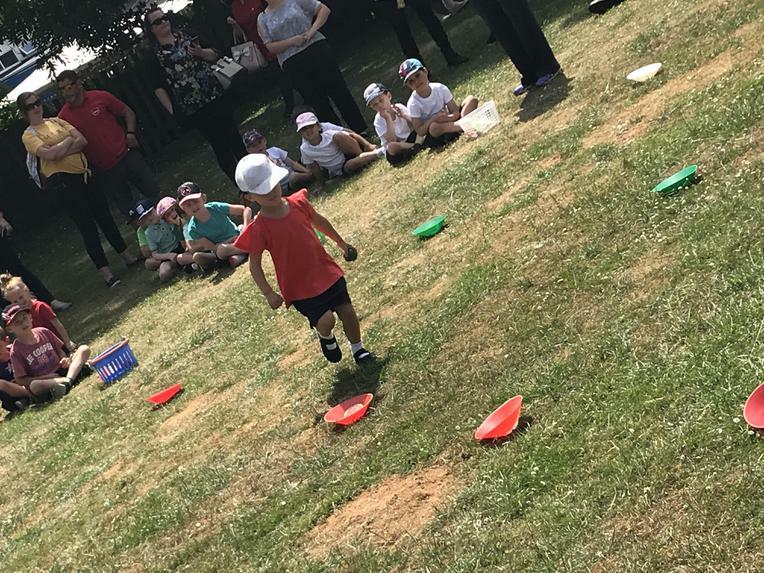 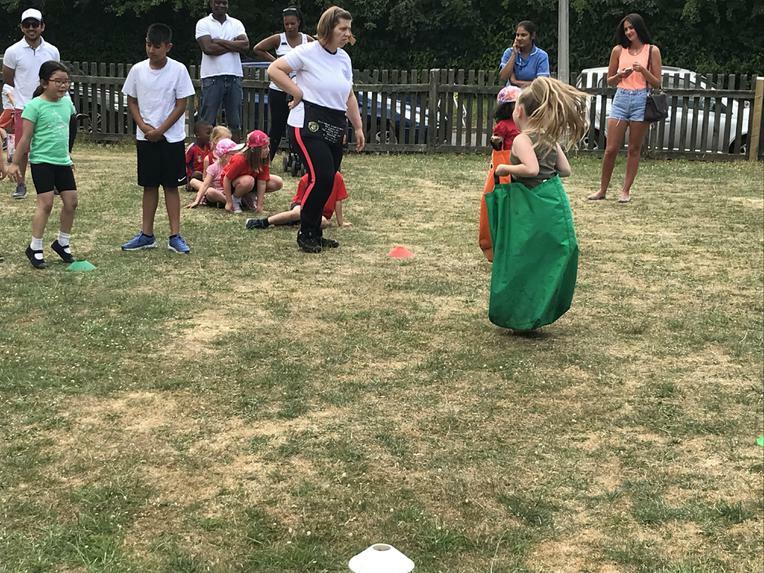 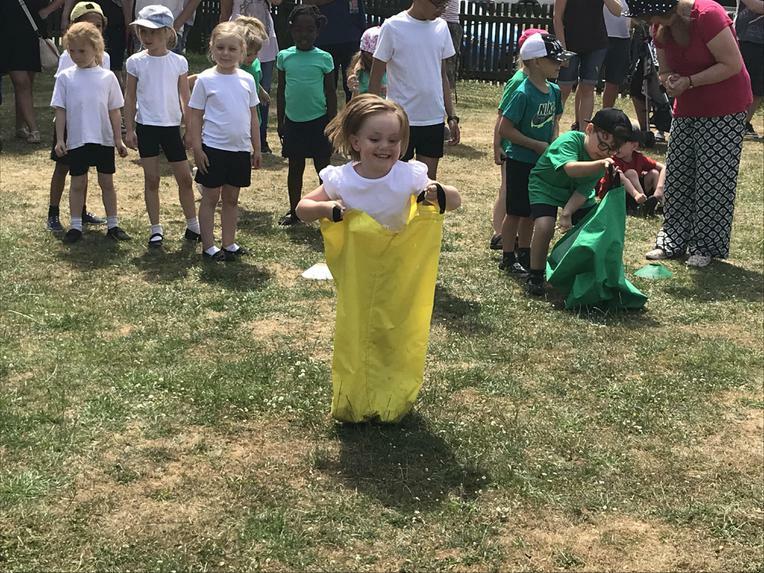 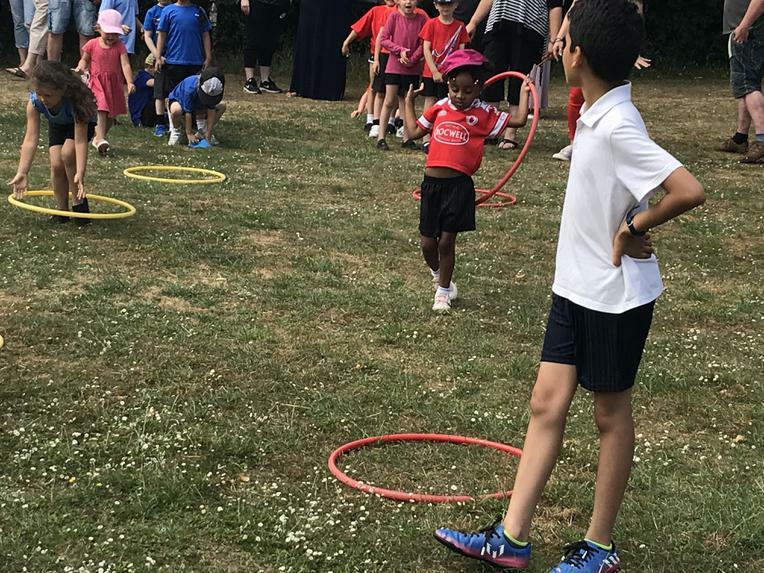 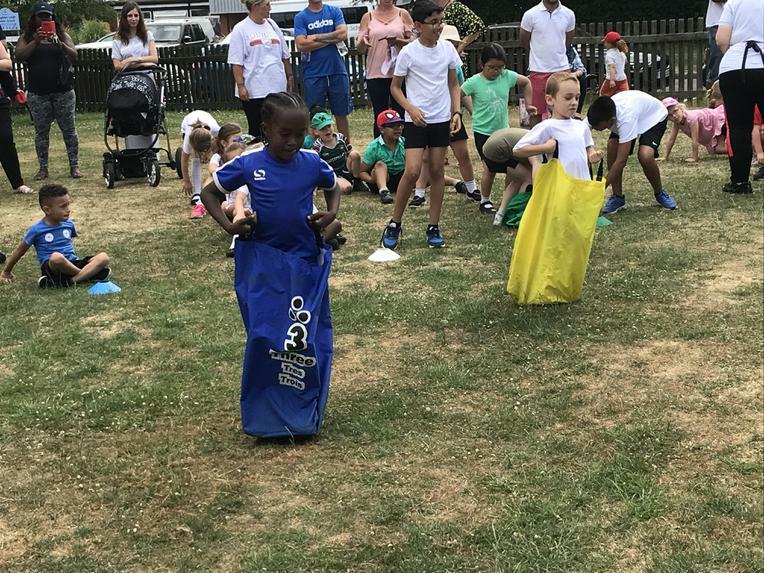 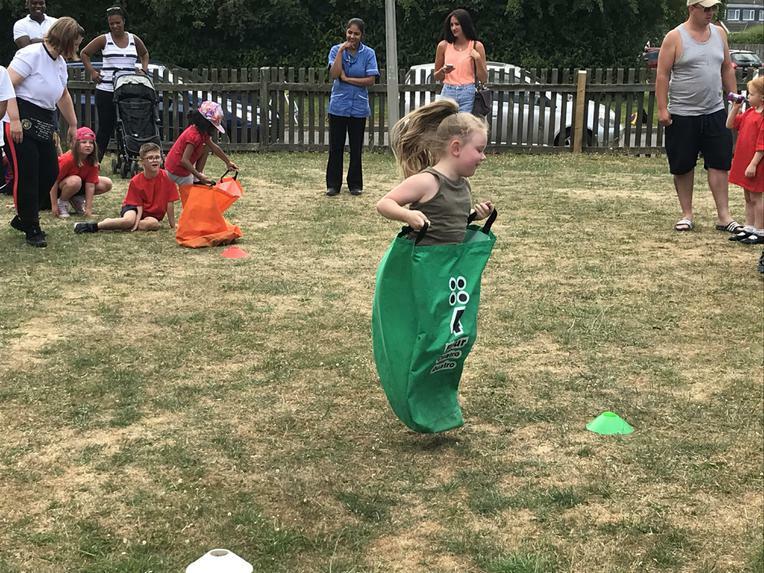 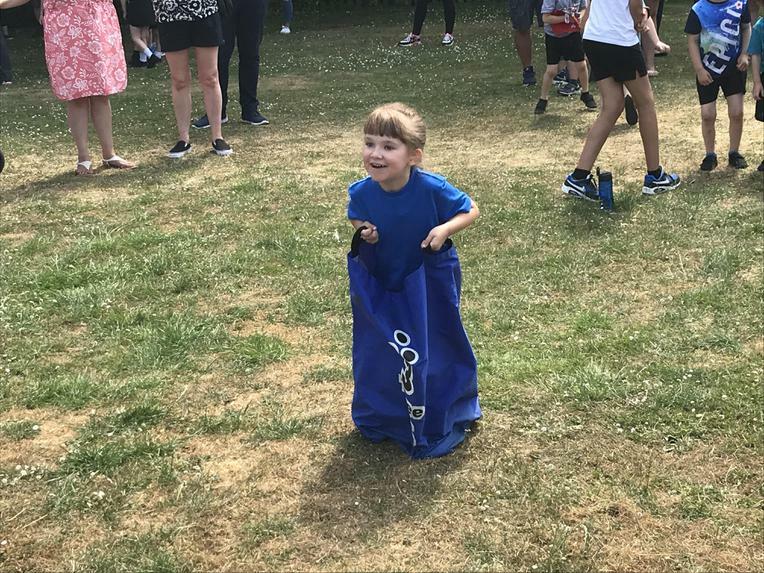 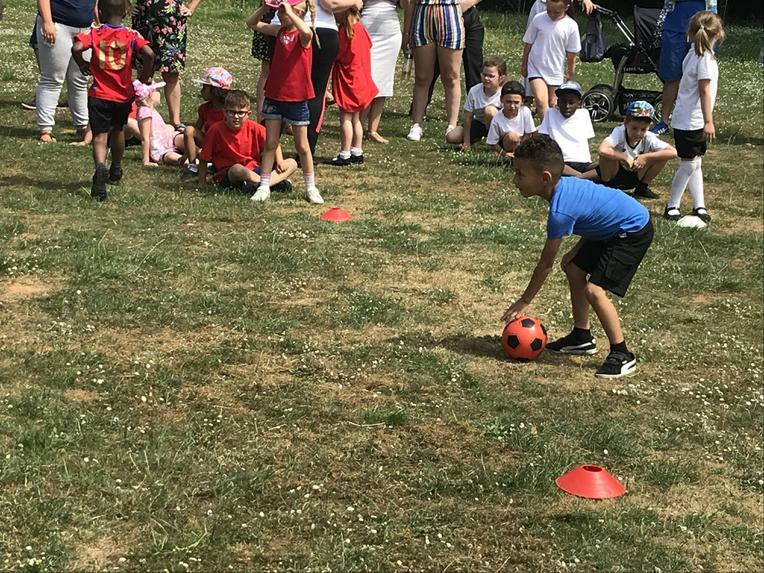 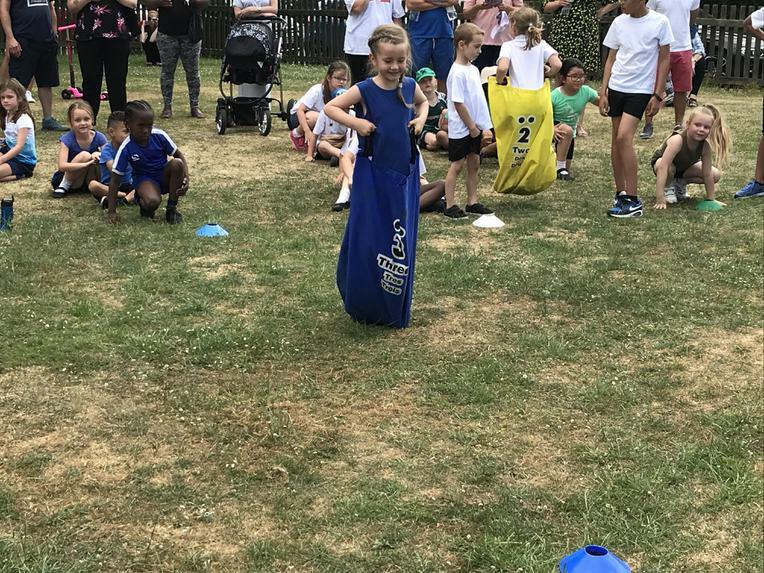 There were loud cheers at the end of the event when Head teacher Mr Moorcroft announced the winners and presented them with the sports day cup.